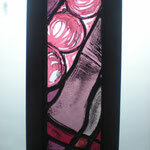 Masters Degree - joannahedleys jimdo page! 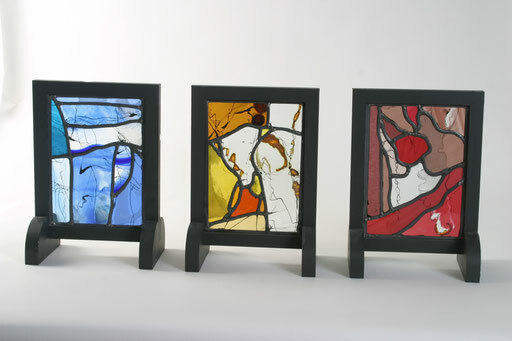 These are 3 pieces I made during my masters degree at Sunderland University, they abstract pieces based on love and marriage. 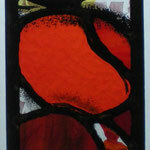 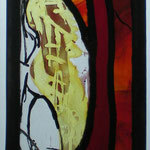 They are made using traditional stained glass techniques, leaded coloured glass, sandblasted, stained and painted. 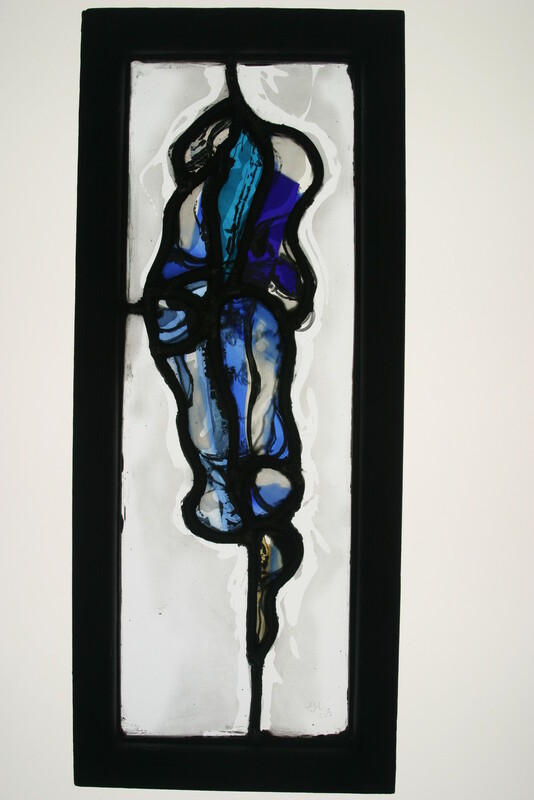 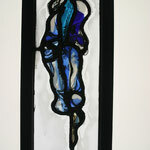 Blue love window is 30cm x 10 cm made using Hartly woods flashed glass, painted and sandblasted. 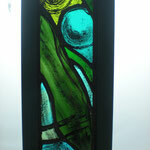 Leaded green glass with painted details, approx 25cm x 7cm. 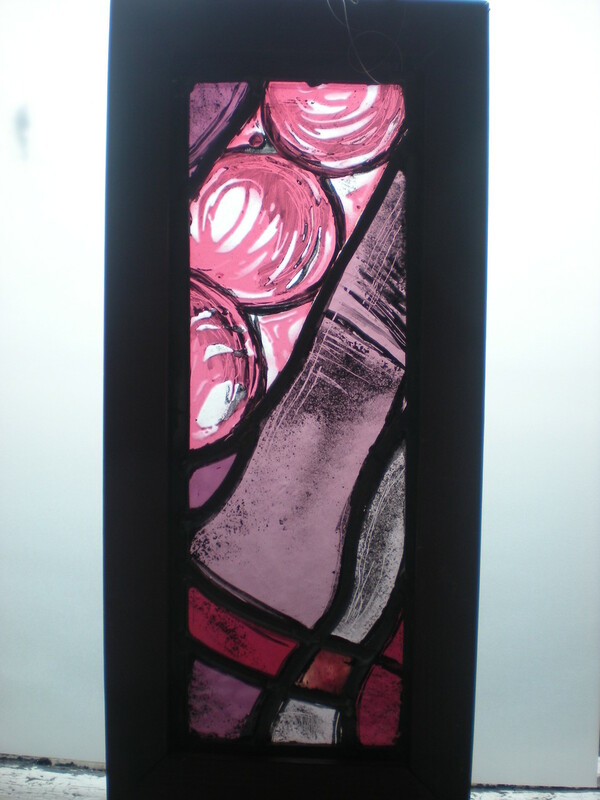 Click on the images below to see a close up. 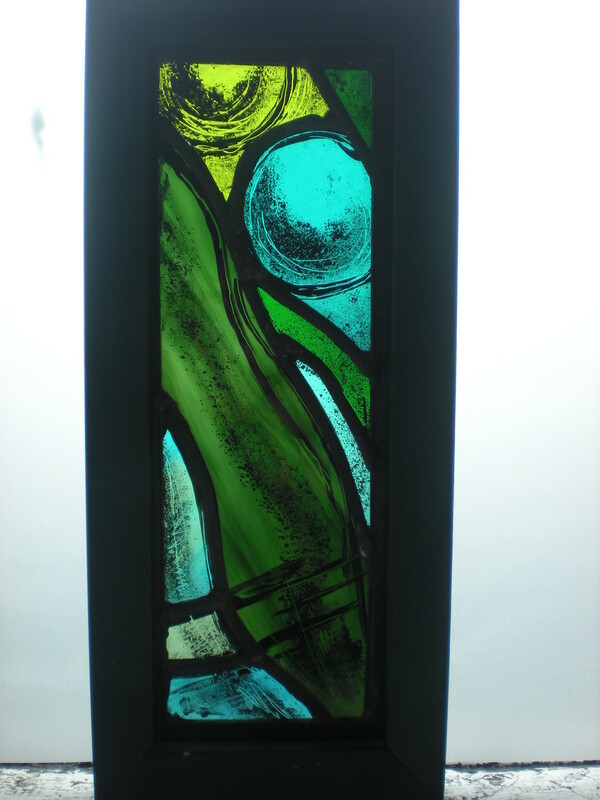 these two panels are larger than the rest at approx 35cm x 12 cm they are leaded and some of the pieces are fused glass, they are also painted stained, sandblasted and engraved.